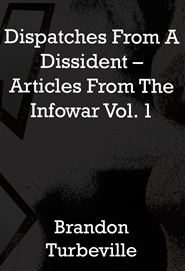 Activist Post writer, Brandon Turbeville, has just released his fourth book: Dispatches From a Dissident: Articles From the Infowar, Vol. 1. Brandon is known for his detailed research in the area of Codex Alimentarius, which was the subject of his first book. His second book, 7 Real Conspiracies presented the documented facts about the overall global agenda of control. In Five Sense Solutions he outlined practical, real-world strategies for maintaining personal freedom and for restoring the Republic. Now Brandon has issued a collection of more than 50 articles spanning from 2002 to mid-2011, which offers a key insight into the evolution of both a writer and an activist. The collection begins with Turbeville's very first published article speaking out against the USA PATRIOT Act, and continues to his more recent work published with alternative media outlets such Infowars and Activist Post. 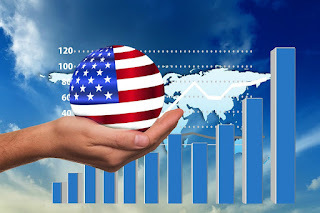 This collection contains a wide range of concepts dealing with the financial collapse, healthcare, war, natural health, world government, civil liberties, and many other topics. Turbeville's work is supported by his trademark heavy research and citation while always keeping the big picture in clear view. It has been said before that the majority of modern warfare is fought with information. This new book is a collection of dispatches from that war. Articles From the Infowar contains 395 pages of concise documentation and analysis, which makes it the perfect tool to help wake-up friends and family, as well as your local leaders and politicians. It also serves as a reminder to those who are "awake" of how fast the full-spectrum control grid has advanced, and how important it is that we work even harder to oppose all that it represents. It has never been truer that all it takes for evil to prevail is for good people to do nothing. We are convinced that those with good intentions will be moved to action by Dispatches From a Dissident.